I originally published this post on my Food Blog, Dinner With Nerds Blog, July 2013 last year after I attended a wonderful cocktail reception for an award I was honored to be a finalist for. Effective Networking is important to Leadership Development so I wanted to share the content again here for you! I love Networking! I frequently attend Networking events because it’s awesome to walk into a room with other business-minded individuals and make mutually beneficial business connections. When I first moved to Nashville 3 years ago (almost 4 years ago now), I knew only 2 people – My sister, who was in Dental School at the time, and a college friend/sorority sister. That’s it! So, when I took the leap of faith to start my own medical practice after living here for only 2 months, my lack of connections in Nashville was a HUGE obstacle for me. However, I networked the pure HECK out of Nashville and have made so many connections that, as I look back on it now, astonishes me! I believe that being able to effectively network is an art form. For me, networking did not come second nature. Even though I love to sit down and talk for hours with people that I know and am familiar with, walking up to random people and saying “Hi, I’m Carmen April. How are you? Tell me what you do for a living” was not always as easy for me as it is now. Just like anything you want to become good at, it requires repetition and practice. Making meaningful business connections is essential to both my medical practice and my blog so being comfortable in large networking environments is a MUST! 1.) Attend Events that are specifically structured for Networking. When you attend events that are designed specifically for networking, everyone shows up with the same intention. You are not left wondering if the people you meet have ulterior motives for chatting with you. Everyone is there, or should be there, to make meaningful business connections. I have taken my enthusiasm for networking to some laid-back social gatherings and, unfortunately, have had people look at me like I have 3 eyes on my forehead when I walk up and introduce myself the way I do at networking events. This is not to say that networking does not take place at social gatherings; in fact, it should! 2.) Dress Professionally. We form opinions about others in the first 7-9 seconds of meeting them. Don’t you want the lasting impression someone makes of you to be a positive one, especially when business is involved? 3.) Have your Elevator Speech Prepared and Practiced. An Elevator Speech is your 30-45 second description of who you are, what you do and how you and your business can be of benefit to others. You should be able to clearly articulate this description in the time that it takes you to ride in an elevator with someone from the bottom to the top floor in 30-45 seconds or less. You risk loosing someones attention when you ramble. Because the most common question asked of you during networking will be, “So, tell me what you do for a living?”, you should practice your response (Elevator Speech) because you know it will be asked. It should roll off your tongue like butter! 4.) Have Business Cards on Hand. Your business card should be clean with your name, business logo, phone number, business email address and business website listed. I can not tell you how annoying it is to receive an old, crinkled business card that has probably been sitting in someones pocket or wallet for who knows how long. Your business card is a tangible piece of your professional brand and it can speak for you in your absence. I keep business cards that I receive during networking by scanning it into one of my favorite apps – Evernote, and also placing it in a business card holding folder that I keep in my office. Additionally, I write down where I met the person, the date and the year, directly on the card. 5.) Follow-up. What is the point of networking if you are not going to make use of the meaningful connections? Networking is for making the initial connections, but it should not stop there. If you meet someone at an event and identify that you can be of benefit to their business, they can be of benefit to your business, or vice versa, you should set up a time to grab coffee, lunch or a cocktail. Send an email to those connections after the event saying that you enjoyed meeting them and would like to meet them again for coffee, etc and discuss ideas. The follow-up is usually where the real connections come about. I hope these tips help you on your next Networking excursion! Starbucks is one of the great American companies I really admire. Not only am I obsessed with their Carmel Apple Spice drink (give me a Venti please! ), but I simply love the experience of walking into a Starbucks store! Most of my friends and family know of my obsession and give me Starbucks gift cards for my birthday, Christmas, etc. I love the experience so much that I usually stay for hours. You can call Starbucks one of my “satellite offices”. I love to blog, read, and people-watch in Starbucks. I don’t think I’ve ever gone into a Starbucks and not been greeted with a welcoming remark that can be as simple as “Good morning”, “Good afternoon”, How are you today?”, “How can I help you.”. People like to be recognized and feel welcomed when they come into a new space. If I’m not personally recognized and welcomed within a minute of walking into an establishment, ie. restaurant, store, etc, I usually don’s stick around too long. Starbucks partners do a great job of welcoming each and every customer who walks through their doors. If you are a regular, you will probably be greeted by name. In Dale Carnegie’s Book “How to Win Friends and Influence People”, he discusses how a person’s name is to that person the sweetest and most important sound in any language.” acknowledging your colleagues and team members by name is important in establishing good report. Starbucks identifies 3 key components to being genuine and calls partners to connect, discover and respond. Most of us can tell if someone is being genuine or not. When I walk into Starbucks I want to know that the employees are genuinely interested in providing great customer service. Genuine interest can come in the form of the Starbucks partner asking about how my day is going, asking about what I do for a living, talking about the weather, etc. Asking these questions forms connections, and initiates discovery of what’s important to the customer. Any Leader can show a genuine interest in their team by asking questions and initiating conversations that establish good working relationships. Being considerate should be a no-brainer. However, I’m sure I’m not the only person who has ever walked into a cafe, restaurant, store, etc and encountered an employee who was in their own world, talking on the phone, talking with other co-workers and ignoring customers. The customers who come to Starbucks for a great cup of coffee and a pleasant experience want to know that the employees are being considerate to them. Starbucks deals with “being considerate” on a corporate level as well. The Leadership wants the directors, managers, and partners to know that they are concerned about their well-being as part of the Starbucks team. 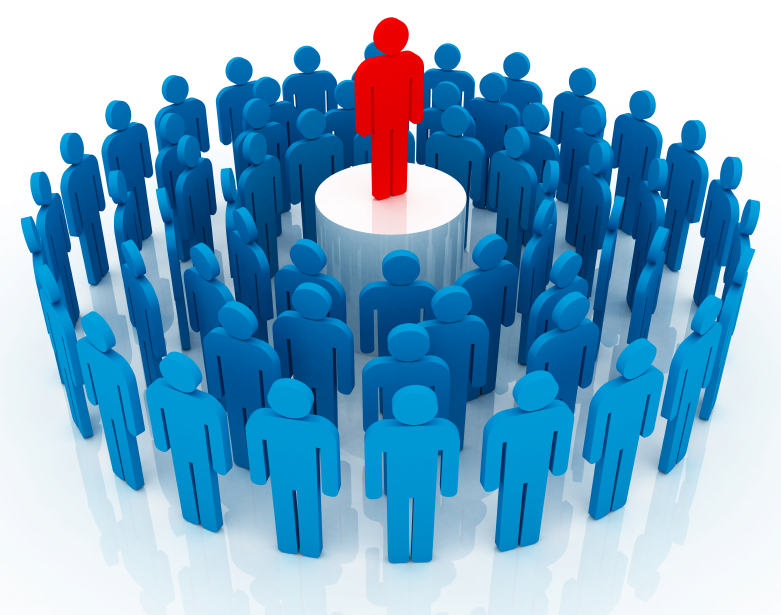 Speaking and interacting with people in a professional manner is important in Leadership. Learning how to handle difficult team member situations and Crucial Conversations by praising in public and reprimanding in private is a good example of being considerate as a Leader. Knowledge is Power and the more you know about your company, industry and what your customers want and expect, the better. It’s difficult to have confidence in a leader who doesn’t know the ends and outs of not only WHAT they do, but WHY they do it. Equipped with that knowledge, a great Leader can know how to best serve their team(s) and add value to their customers. Starbucks invests heavily in training their partners. 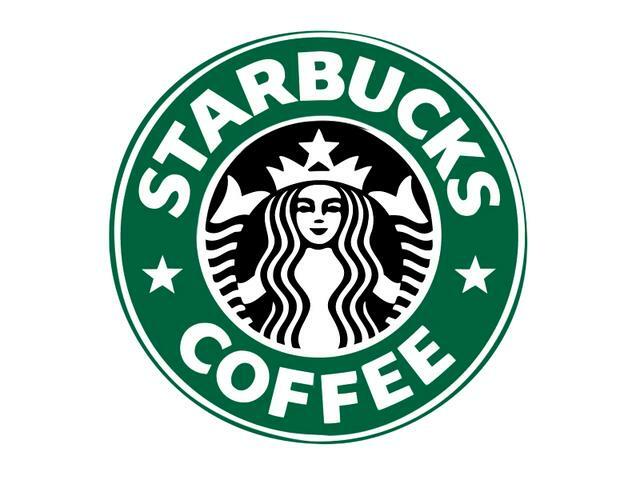 A great example of ongoing learning is that Starbucks gives its partners a free pound of coffee every week so they are continually becoming more knowledgeable about the company and the taste of its products. At Starbucks, being involved means active participation “in the store, in the company, and in the community.” Partners are encouraged to be active in the store, addressing the needs of the customers on a daily basis and making the experience special for each person. Leadership at Starbucks makes it a point to actively respond to concerns, ideas and suggestions from partners. Leaders at any level should be accessible to their team members to foster communication and execution of vision and goals. Consistent involvement from all levels of Leadership is important to making the partners and customers feel valued. Community involvement is a way in which Starbucks provides opportunity for their partners to give to others and make a difference in individual communities. No matter what industry or business you are in, corporate structure or entrepreneur, being involved in what matters to the community is a perfect way to stay connected to it. How can you use Starbucks’ 5 Ways of Being to better organize your Leadership strategy? After one of my recent speaking engagements where I was presenting on Leadership for Young Professionals, an attendee came up to me and expressed her frustration trying to “move up the Corporate Ladder”. I hear this all the time from young professionals who are working diligently for companies and aren’t sure what they can do to get ahead and assume more leadership responsibilities. One name immediately came to mind as an example of a business executive, CEO in fact, who started as an engineering intern in her company and later became the first African-American Women CEO of a Fortune 500 Company. 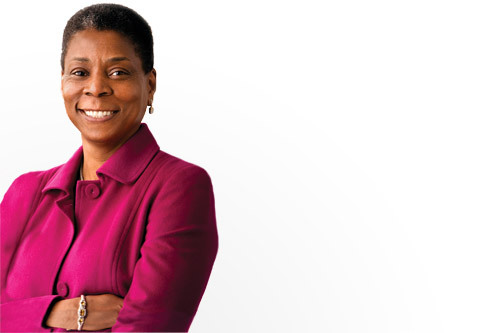 This woman in Leadership is Ursula Burns. I told this young lady at the conference that I wanted her to Google Mrs Burns and read about her career journey with Xerox. I’ve never met Mrs. Burns personally, but would one day love to because I truly admire her story! Ursula Burns was raised in a New York City housing project, but had a mother who told constantly told her “Where you are is not who you are.” That mentality pushed her to pursue higher education at New York University Polytechnic School of Engineering majoring in Mechanical Engineering. She then received a master’s degree in mechanical engineering from Columbia a year later. In 1980, she began her career as a mechanical engineering summer intern at Xerox. She later joined the company as an employee and served in various roles with product development and planning. She then took on larger leadership roles, leading teams in the color and fax divisions and office network printing divisions. In 2000, she was named senior vice president, Corporate Strategic Services, heading up manufacturing and supply chain operations. She then took on the broader role of leading Xerox’s global research as well as product development, marketing and delivery. In April 2007, Burns was named president of Xerox, expanding her leadership to also include the company’s IT organization, corporate strategy, human resources, corporate marketing and global accounts. At that time, she was also elected a member of the company’s Board of Directors. Burns was named chief executive officer in July 2009. That same year, Forbes named her the 14th Most Powerful Woman in the World! Having started out at Xerox as a summer intern, Mrs Burns worked her way up through the company to become CEO. If you look closely at the time frame, it was almost 30 years from the time she started as an intern (1980) to the time she was named CEO (2009). Leadership Development is just that – Development. It takes time. There is no magic formula to create it overnight. Rome wasn’t built in a day and you can’t “move up the corporate ladder” in a day, either. Understand that Leadership Development is a process. Mrs Burns is a perfect example of a leader who knows the way, goes the way and shows the way because she has the experience of working in numerous areas of The Xerox Company. Are you frustrated because you’re not accelerating in your company as quickly as you desire? Take the time to figure out what leadership roles can you participate (Career and Community) to showcase your talents. When I’m speaking on Leadership to groups of college students and young professionals, I’m often asked about specific paths to leadership when their lack of experience may be a barrier in consideration for leadership positions. At the top of my list of advice is getting involved in Leadership through community and civic involvement. You don’t have to be a CEO, Corporate Executive, Entrepreneur, President of an Organization, etc to be a leader. If your actions are inspiring others to learn more, do more and become more, you are a Leader! This is what we call Everyday Leadership. Everyday Leadership is demonstrated by those who want to do great things for the community and are excited to use their talents to do just that! I’ve listed 3 examples of people I think are great examples of Everyday Leadership because of the way they are committed to making change in the communities. They are leading the way by helping others to live better lives! 1.) Mitch Albom of Detroit, MI –Mitch Albom is an internationally renowned and best-selling author, journalist, screenwriter, playwright, radio and television broadcaster and musician. His books have collectively sold more than 35 million copies worldwide; have been published in forty-nine territories and in forty-five languages around the world; and have been made into Emmy Award-winning and critically acclaimed television movies. Albom has also founded 8 non-profit charity organizations in the Detroit area! The organizations include S.A.Y. Detroit, S.A.Y. Detroit Health Clinic in partnership with the Detroit Rescue Mission, A Time To Help, Working Families/Working Homes, A Hole in the Roof Foundation, The Heart of Detroit, and the Detroit Dream Scholars. The work he is doing in the city of Detroit is outstanding! Mitch Albom is an example of Everyday Leadership in Action! 2.) Becca Stevens of Magdelene House and Thistle Stop Cafe in Nashville, TN – Becca Stevens is one of the premier preachers and speakers in the United States proclaiming love as the most powerful force for social change. She is an Episcopal priest and founder of Magdalene, residential communities of women who have survived prostitution, trafficking and addiction. She founded Thistle Farms in 2001 which currently employs nearly 50 residents and graduates, and houses a natural body care line, a paper and sewing studio and the Thistle Stop Café. She demonstrates that love is good business and raises millions of dollars annually for the organizations she runs. I’ve heard personal testimonies from women who are in a significantly better place today because they were able to find a safe haven at Magdalene and chart a new course for their lives while there. I frequent the Thistle Stop Cafe in Nashville for coffee, pastries, sandwiches, etc and always feel good about supporting such an awesome organization. Becca Stevens is an example of Everyday Leadership in Action! 3.) Halle Berry – We all know Halle Berry as the beautifully talented Oscar Award Wining Hollywood Actress. You may not, however, be as familiar with her involvement with the Jenesse Center in Los Angeles. The Jenesse Center is a Los Angeles Based Women’s Shelter with 6 locations around the city. The center provides a safe place for women and their children who are getting away from domestic violence situations. For the past 10+ years, Halle Berry has been involved with this center. A couple of years ago, she became the Chairperson of the center’s annual giving campaign. She acknowledges that the women who arrive at the shelter are dealing with much bigger issues than being concerned that she is “Halle Berry, the Hollywood Actress”. They appreciate that she is a woman who cares for them and whom they can talk to and confide in. Halle Berry is an example of everyday Leadership in action! 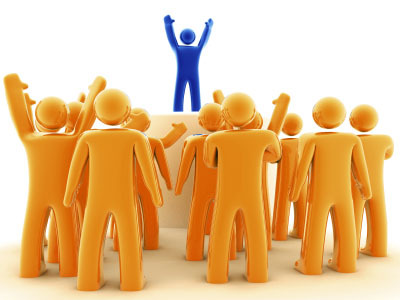 What community organization do your admire? Identify a couple and make it a point, this week, to reach out to them to ask about volunteer opportunities. Diligently working in your community is a way to sharpen your leadership skills as well as help others when and where they need it. Let’s face it – we all get the same 24 hours in each day. No more and no less. How is it then that some people seem to successfully juggle a million activities on their daily schedules while others have difficulty managing the few activities they have. Well, this quote from Seth Godin hits it right on the head! It’s not that we need more time, we simply need to be more decisive in making important decisions. The indecisive back and forth game we play out in our heads actually wastes more time than coming to a solid decision then subsequently planning out the specifics as it relates to that chosen decision. Leaders are charged with being decision makers. Even though you may be tempted to delay important decisions, don’t punt them until “later”. More time to decide may not be your answer, but your decisiveness probably is! What important Leadership decision have you been delaying lately? Trust your leadership instinct and be decisive, now! Some Leaders fall short of achieving desired results because they allow the fear of failure to stagnate progress. 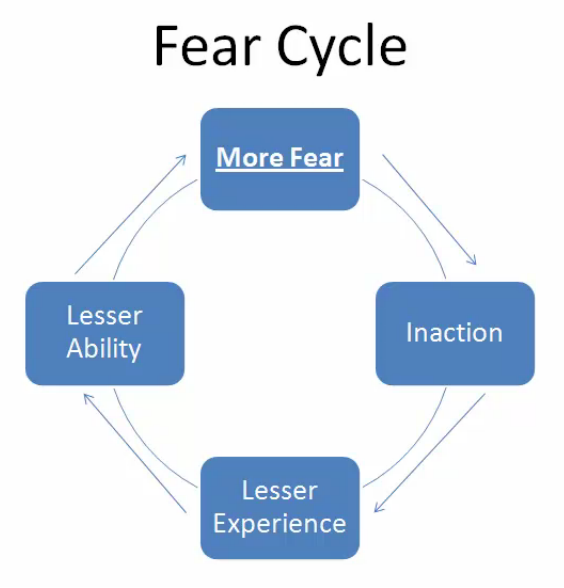 Fear is crippling because it initiates a cycle that leads to inactivity and insufficiency of the skills needed to obtain what you desire. This then leads to more fear and the cycle repeating itself. 1.) Name Your Fear – When you admit your fear, you deflate its power! When you name your fear, you remove the confusion over what is causing your fear in the first place. 2.) Figure out WHY you have developed this fear. Did something go wrong? Did someone say something to you that was discouraging? Do you think you’re not talented or gifted enough to accomplish your goals? Getting to your “WHY” will lead you to “HOW” you can break out of the cycle. 3.) Replace the images of fear with images of Power! Fear can have such a powerful grip on your mind that it will cause you to be absolutely consumed with it. Realize that you have the power to control your thoughts. Memorize a mantra or inspirational quote and every time the feelings of fear creep into your mind, repeat this over and over until it becomes the controlling thought. 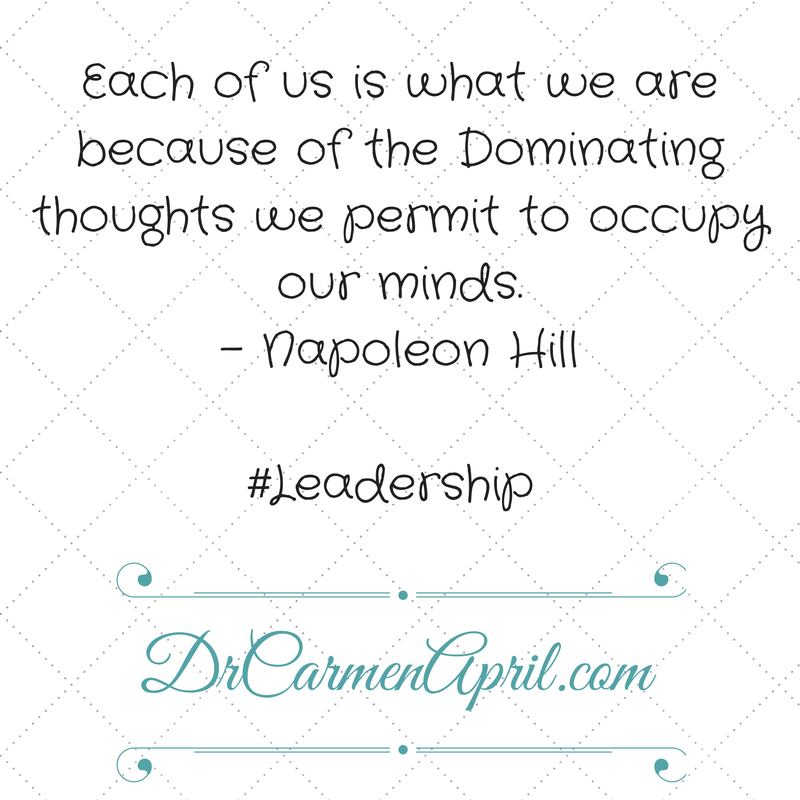 Napoleon Hill, in his best seller “Think and Grow Rich”, states it best when he says, “Each of us is what we are because of the dominating thoughts we permit to occupy our minds” That’s POWERFUL and very much true! When you leverage the power of shutting down negative thoughts with positive affirmation, you create a door of opportunity to break out of that dreaded Cycle of Fear! What Fear do you have today that is inhibiting you from the Leadership success you desire? 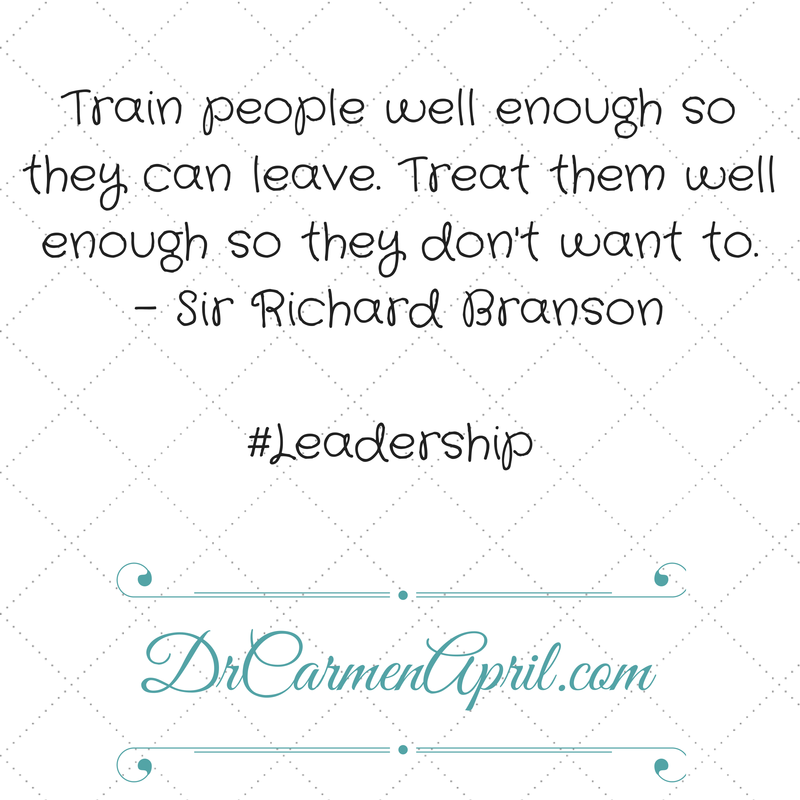 I work hard to train my team to do everything I don’t do, ie – everything in my office that does not directly involve diagnosing and treating patients. I personally train them through a series of over 100 training videos I created as well as with hands-on instruction. I know that at any time my employees can leave and get a job with any other doctor’s office and excel due to the hands-on learning and training they’ve received from me. This training not only makes my office run efficiently, but it makes me feel empowered to know that I am directly involved with the professional development of others. What’s awesome is that I’ve had pretty much the same team since I started my business almost 3.5 years ago! My team knows that I value their hard work and dedication to making my practice successful. I practice positive reinforcement on a daily basis and always end the day by saying “Thank You”. Those two little words are super encouraging to those working with you and for you. We all have a desire to feel useful and appreciated in our work and careers. When your team members feel valued, they will stick around. The mark of a great leader is cultivating a climate in which team members are excited about staying with you as part of your team! What does your current business/job climate say about your Leadership Skills?